Set in the heart of Cairns, the Bohemia Resort Cairns provides a convenient base for leisure and business travelers alike. 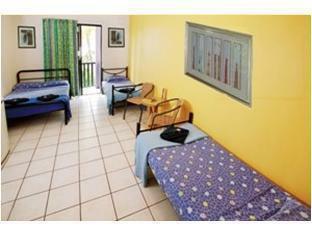 The Bohemia Resort Cairns has a total amount of 72 well-appointed rooms designed with the guests' comfort in mind. All of the guestrooms are replete with non smoking rooms, air conditioning, bathrobes, inhouse movies, desk. Hotel facilities offered at this Cairns accommodation include shops, coffee shop, bar/pub, laundry service/dry cleaning, meeting facilities, restaurant, room service. To unwind, guests can enjoy the leisure facilities provided on The Bohemia Resort Cairns's property, including jacuzzi, outdoor pool, garden. 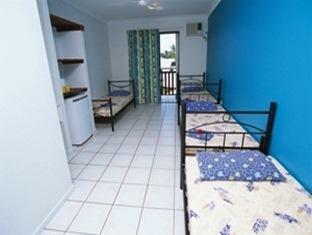 The Bohemia Resort Cairns provides a warm and welcoming service of international standard. To make a reservation at the Bohemia Resort Cairns Cairns with our secure online reservation form, please choose your preffered period of stay.